Another fabulous build by developer, Demetrius Doukoullos of Acropolis/Delphi Properties. Architecture by Tomaro Design Group. Pre-construction offering. 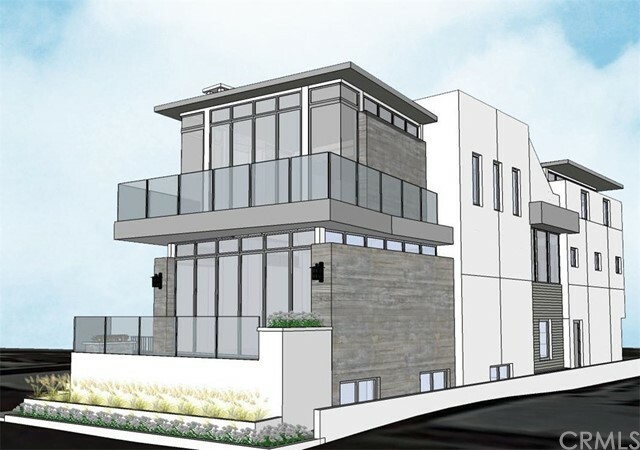 Stunning new Contemporary tri-level home on Hermosa Beach Strand (estimated date of completion 1/19). Prime beachfront location. Gorgeous property with high-end, designer finishes with 5 bedrooms, 6 bathrooms and approximately 4,403 SF of luxury living space. Entry level features open floor plan with gourmet kitchen, dining room and Great Room with fireplace (marble tile hearth). Bi-folding doors in Great Room open completely for indoor/outdoor living, expanding to large patio with fire pit -- great place to entertain with amazing ocean views. Kitchen includes stone slab island and stone slab counter with backsplash, walk-in pantry, and warming drawer below oven. Powder room adjacent to formal dining room and office/bedroom with bath.